My Chronicles Sayonara 2008 & Hello 2009! Sayonara 2008 & Hello 2009! 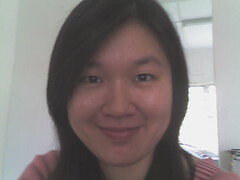 This is my 1st post for year 2009! So how's you new year celebration guys? Where did you hang out? Did you went out to celebrate with your kakiis? Went to watch some singers screamed their lungs out? Watch a few brawls at Sungai Wang (for Malaysians)? Hit the bar? Try to poison yourself with rounds or vodka? Or simply (over) indulging yourself in an attempt to get obese with lots of food? Whatever it is...one thing for certain is that the year 2008 is a goner! It's 2009 right now. By now, I'm certain that the new calender has flipped for almost every country right? So here I am...wishing everyone Happy New Year! 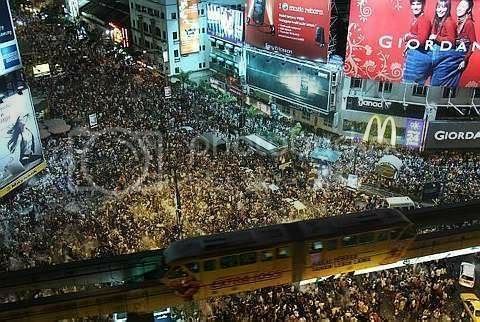 The crazy crowd at Sungai Wang! Thank God I'm not there! 2008 is as good as dead. I have to say that the year 2008 was one of my darkest moment in my life. It is fair to say that last year, my memoirs was filled with too many tragedies! For those of you who have been reading this blog for quite a while...you all knew how my life was literally rip apart with the demise of my beloved mother. August 2008 was really the defining time of my life-everything was robbed from me! I though 8 is a good number? My mommy's premature departure has took away everything I know in my life. Seriously, till today I still fell that emptiness...that void that no one else can fill. I hope time will heal my deep, gaping wound! Tekkaus' Top 6 2009 Resolutions! 6~Strive for excellency in my career. Yes. I would love to spend more quality times with my dad, brother and my beloved wife. Time flies. That's why I switched to my current job 1 month ago. Besides I really thing I should rest more. I believe my average sleeping time for year 2008 is 4.5 hours per day. I'm not kidding! That's why I'd really hope I can be on the bed longer before I get burned! Yes my No.3# resolution is to do more exercise! I have to admit that I'm not as active as I used to be. Before this, I play basketball almost everyday...but last year I hardly could squeeze an hour each week for my ball game! 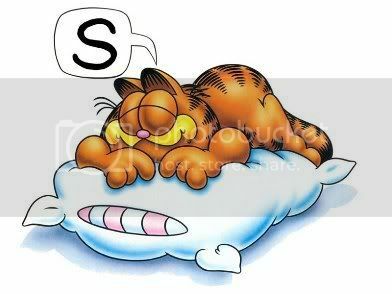 That's why Garfield is so healthy! Here's N'sync's Bye Bye Bye for year 2008!!! wow, look at that crowd!!! I went to a place near my house and was surprised that place got count down and fireworks too. not really a lot of ppl but the 5 minutes fireworks was superb!! wow that is a crazy crowd...so many ppl!!!!! Happy new yr. Abt yr mum the pain doesnt go away..it jus decreases in intensiity n occasionally flares up. we went to 'see' her on the 27th and we all broke down. the pain is still raw. it has been 20 yrs. so i understand wat u mean. So sorry about you losing your mom, Tekkaus. Time heals, just give it some time. But now, time to look forward to fresh new experiences so here's wishing you all the best in the new year and may all you wish for come true. Happy New Year!! That was exactly the crowd I got lost in one year. Never again but good while it lasted. Cheers! Luckily I was not anywhere near Sungai Wang. I avoided the crowd on new year's eve and just went to a not so crowded place to have a drink and still be able to watch the fireworks! I lost my grandma in december. i know how u fill when someone dear to u aren't here anymore. i feel empty too.i wish she is still here. Yea. how are doing? Got a job already? Later rich liao . organize marine science reunion at hilton hotel. lol..
yea. u become better and better in blogging. Improve a lot. And you have a lot of fans now comparing now. Beng beng-->It's totally impossible to forget someone who raise you up right? Thanks for commenting beng beng! =) Happy new year. Monk-->My deepest condolence to you too. I'm sorry to hear that. It must be hard for you too right? =( I'm sure she's supporting you all the way from heaven right now. I'm doing fine. Yupe! I got a job already. Hmm...this job won't make me rich. Just give me more time. Haha =) Ok, we can hold a reunion in the future. Wooohooo! 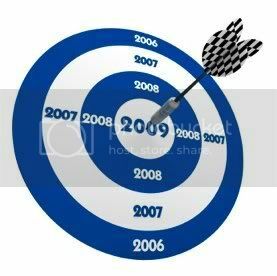 Wish all your goal come true for 2009. I was home New Year's Eve - didn't feel like going out at all. Want to go mamak also no kaki, no point lor. Anyway, thanks for dropping by my blog. I hope 2009 was better for you than last year was. my celebration was simple. i went to the airport and countdown at mc donalds with my best friend. airport was empty and there was no countdown actually haha! 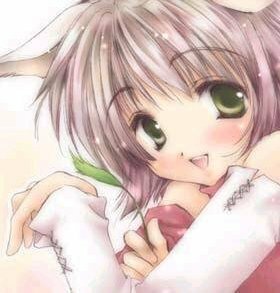 i'm still new here and i'm sorry to hear about what had happen to you and hope you are ok now. you are strong and i know its hard to go through this kind of situation. i do hope this year is a brand new one for you. i like you number 5. its in my list too and i also want a great vacation! Good luck on your resolutions too.. Happy New Year!!! May 2009 be a fulfilling and successful year! Quachee-->Thanks. You are still in the city of dragon? China? Anyway happy new year to you ok. Don't get stranded there. LOL! Also, in reply to your enquiry, yes the WiMax in my area is faster than Streamyx's best connection so far. I compared using Youtube's buffering speed and also the speed of some online games I play. Jim-->Thanks. Really? Wimax coming to malacca? Great. I wish they can land here asap! =) Thanks for the info Jim! You have a wonderful ahead of you too ya. 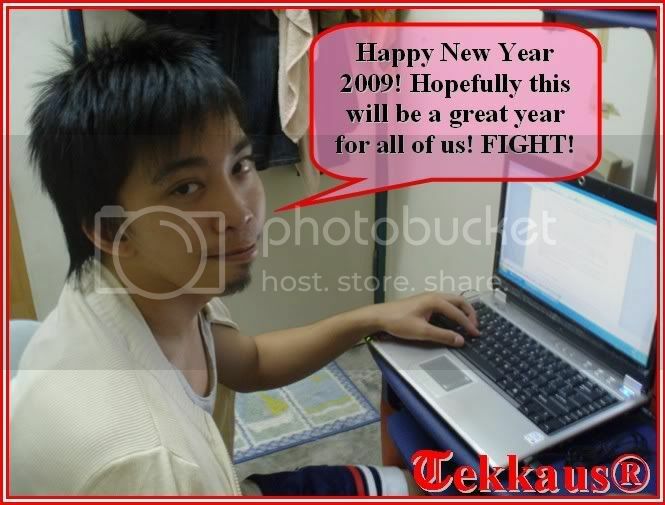 tekkaus, here for the great 2009! cheers!!! i'm sorry to hear the loss of your beloved mom. my deepest condolences to you and your family. may the new year brings you more success, fortune and good health. thanks for dropping by. Wishing you and your love ones the best in 2009 & full of happiness and great prosperity. Life Ramblings-->Thanks. Yep, may the new year bring in more success, fortune and most importantly health! =) Thanks for dropping too. My Bug Life-->Same to you! =) Thanks for dropping by.